The Clarion Hotel Helsinki is located in the new urban investment district in the West Harbor area of central Helsinki. The hotel is a vibrant meeting place for both locals and hotel guests. 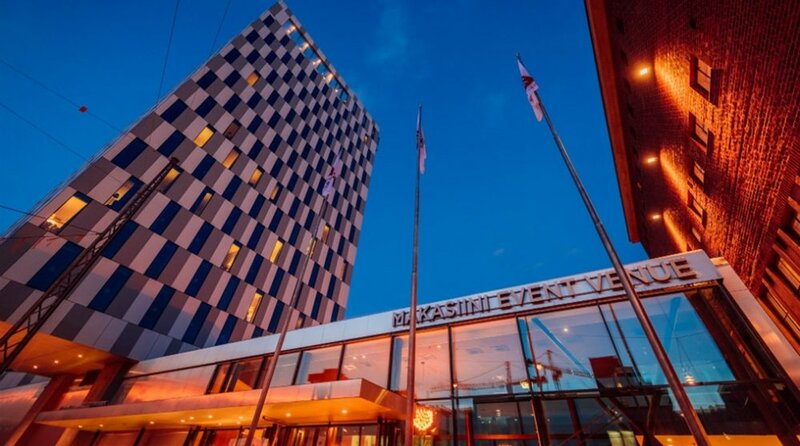 The hotel has excellent conference facilities as well as a sky bar overlooking the rooftops of Helsinki. Central Helsinki, shops and a metro station are just a short walk away. Alternatively, you can hop on a tram right next to the hotel. Quality downtime is never a problem at the hotel: its heated rooftop pool, sauna and fitness center, among other things, offer the possibility of Nordic relaxation. Put your feet up by the cozy fireplace or get to work on the free Wi-Fi in the chilled-out Clarion Living Room. 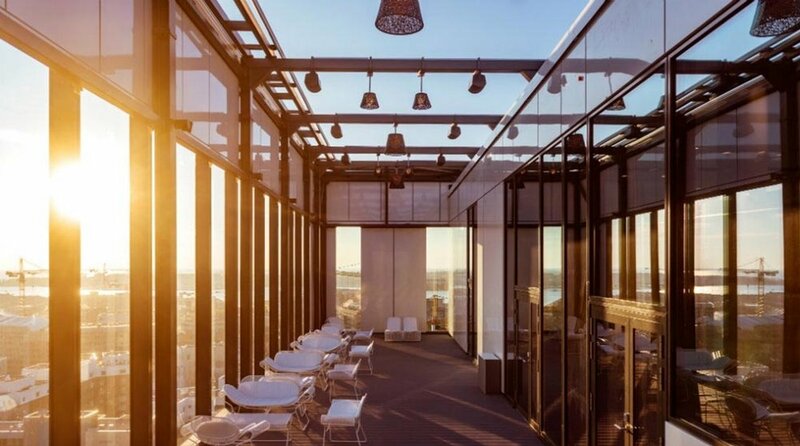 If you want to see Helsinki’s skyline, take a look from the sky bar or dive in the rooftop pool and have a peak across its glass walls. Welcome up to the North!